On Tuesday, March 17, 2015 the Saint Paul Public Schools Gender Inclusion Policy passed with unanimous support from Board of Education Members. Read the final policy here. Work on a Saint Paul Public Schools Gender Inclusion Policy began in February 2014, following student reports of being harassed and discriminated against for their gender identity. The Board of Education created a work group to gather feedback from school principals, parents, student leadership, and students from the lesbian, gay, bisexual, transgender and queer (LGBTQ) community. The group included three Board of Education members, principals and staff from several departments. 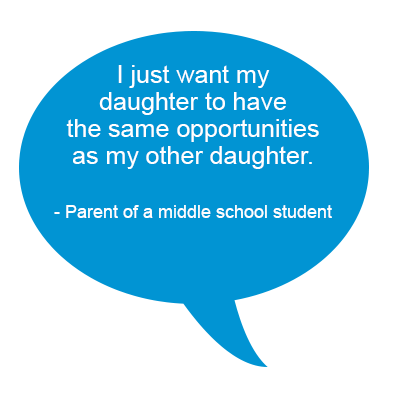 The purpose of a Gender Inclusion Policy is to address and remove the inequities reported by some students. Through establishing a Gender Inclusion Policy, Saint Paul Public Schools will ensure that all students have equitable access to safe and comfortable programming, athletics and facilities. 1. 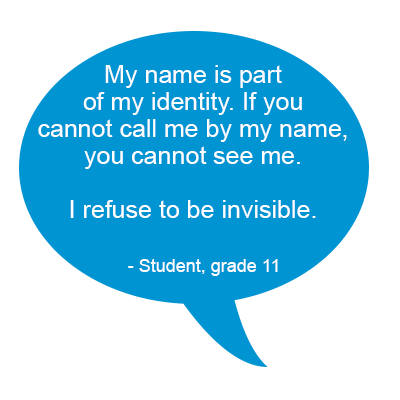 Respect all students’ gender identity and gender expression by honoring the right of students to be identified and addressed by their preferred name and pronoun. 2. Prohibit, within academic programming, the separation of students based upon gender unless it serves as a compelling pedagogical (instructional) tool. 3. Permit all students to participate in co-curricular and extracurricular activities in a manner consistent with their gender identity including, but not limited to, intramural and interscholastic athletics. 4. 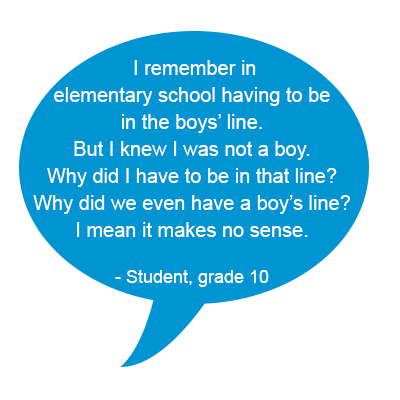 Provide all students access to facilities that best align with students’ gender identity. Become familiar with the terms that may be discussed and included in a gender inclusion policy.